Its Not Too Late Scholarship is proud to continue its partnership with the St. Louis Blues. The Blues for Kids grant was awarded to our nonprofit organization based on our educational focus in the community and initiatives that we provide to local students. The Blues for Kids Foundation in conjunction with the Blues’ community outreach efforts, has a mission to seek out opportunities to use the Blues’ unique resources to positively impact programs and services which improve the health and wellness of youth. We are excited to impact the lives of deserving college students, while encouraging our recipients to do the same in the future. We would like to thank the Blues for Kids Foundation for their support and helping us continue to Pay it Forward, One Dime at a Time. It’s Not Too Late Scholarship would like to thank the State Farm Companies Foundation and Mr. Cornelius Wallace for his volunteerism in the community with our organization. Based on his service and commitment to our nonprofit organization, we were awarded a $500 grant from the State Farm Companies Foundation. The State Farm grant was awarded to our nonprofit organization based on our educational focus in the community and initiatives that we provide to local students. Established in 1963, the State Farm Companies Foundation provides support for key initiatives and scholarships as well as associate-directed programs including grants supporting volunteerism and matching gifts to charitable organizations and two- and four-year colleges and universities. We are excited to impact the lives of deserving college students, while encouraging our recipients to do the same in the future. On behalf of the INTL Scholarship board, we would like to thank Cornelius and the State Farm Companies Foundation for their support and helping us continue to Pay it Forward, One Dime at a Time. Its Not Too Late Scholarship is proud to receive our second sponsorship from Scott Credit Union. The Bronze Level Sponsorship (The Scholar) was awarded to our nonprofit organization based on our educational focus in the community and the financial initiatives that we provide to local students. Scott Credit Union has contributed about $330,000 to the community and their employees have volunteered more than 2,700 hours to a variety of local civic efforts throughout the region through the end of 2015. SCU has also contributed approximately $1.4 million and their employees have volunteered nearly 13,000 hours to a variety of local civic efforts and financial education throughout the region in the past six years. SCU has increased their community involvement in the past few years while also increasing efforts to educate consumers of the value of doing their financial business with a not-for-profit credit union. On behalf of the INTL Scholarship board, we would like to thank Scott Credit Union for their continued support and helping us to Pay it Forward, One Dime at a Time. 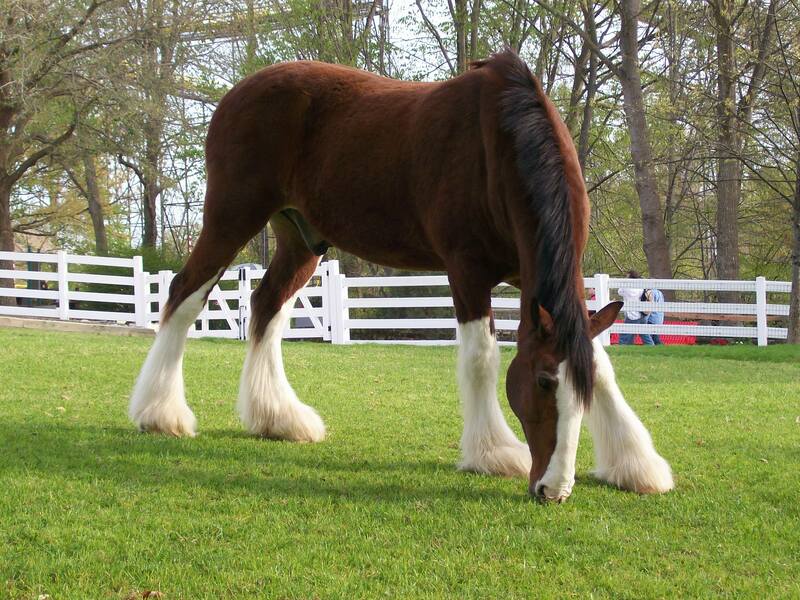 Its Not Too Late Scholarship is proud to continue its partnership with the Anheuser-Busch Foundation. The AB Foundation contribution supplements their employees’ individual efforts to help support Its Not Too Late Scholarship. Thanks to generous contributions of Anheuser-Busch employees, the AB Foundation has donated more than $15 million in the past three decades to educational institutions across the country through its Anheuser-Busch Employee Matching Gift Program. Its Not Too Late Scholarship would like to thank the AB Foundation for continuing to help us “Pay it Forward, One Dime at a Time“. 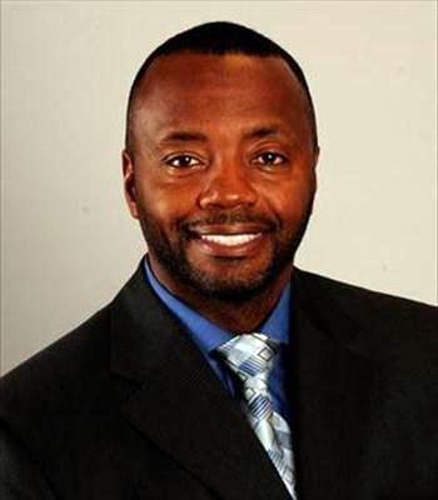 The Its Not Too Late Scholarship nonprofit organization would like to thank the Allstate Foundation and agent Anthony Neely for his volunteerism in the community with our organization. Based on his service and commitment to our nonprofit organization, we were awarded a $1,000 Helping Hands in the Community grant from the Allstate Foundation. Jacqueline Hill, a Fall 2015 Fifth Third Bank / INTL Scholarship recipient, was presented with the Joseph T. Taylor Academic Achievement Award on December 19th. Jacqueline was attending the annual Dr. Martin Luther King, Jr. luncheon in Indianapolis, when the faculty of IUPUI surprised her and presented her with the award. It’s Not Too Late Scholarship would like to recognize Ms. Hill for her accomplishments and for achieving a 4.00 GPA this past semester. Congratulations Jaki. 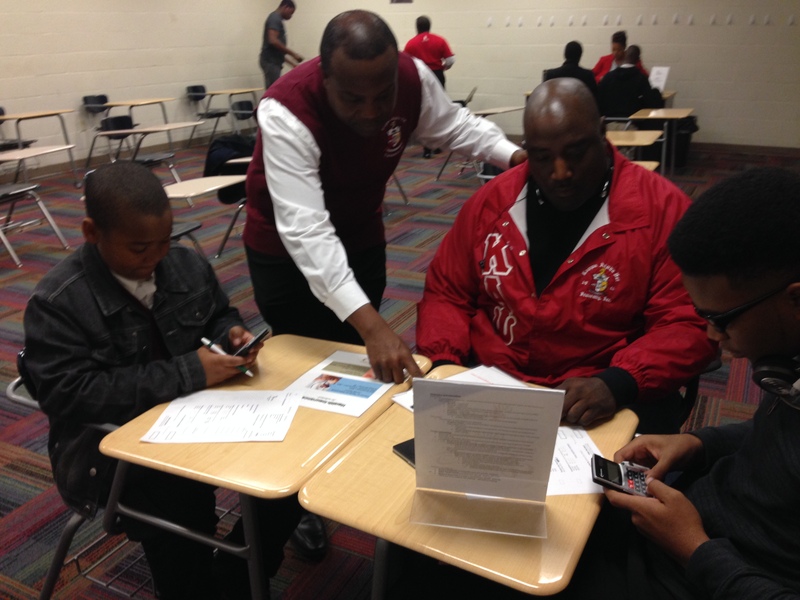 On December 5th, It’s Not Too Late Scholarship and Scott Credit Union, provided a student financial budgeting workshop to middle school and high school students at the Mason-Clark middle school in East St. Louis, IL. The event was hosted by the Delta Sigma Theta Sorority (East St. Louis Alumnae Chapter) and was a part of their annual Breakfast with Santa event. 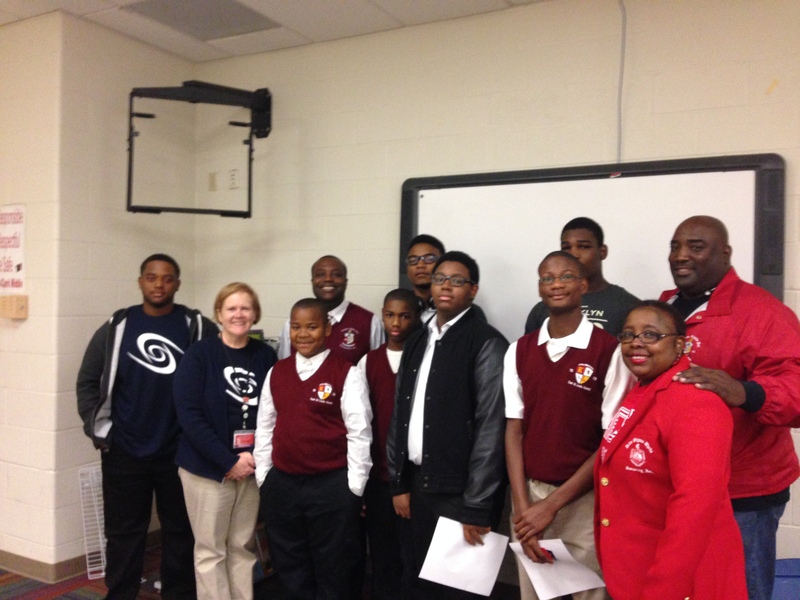 In total, there were about 20 students that participated, which included the young men from the Kappa League/Guide Right program of the East St. Louis Alumni Chapter of the Kappa Alpha Psi fraternity. It’s Not Too Late Scholarship and Scott Credit Union are proud to award a $1,000 scholarship to Cortesia Owens. Cortesia is a 2015 graduate of Incarnate Word Academy and graduated with a 3.52 GPA. She will be attending Truman State University this fall and majoring in Political Science. 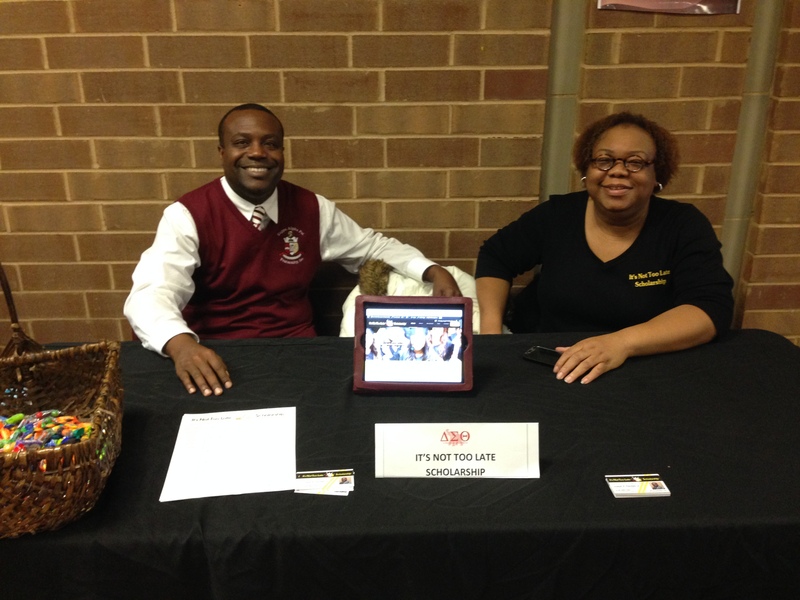 Cortesia is very involved in the community and is a member of several extra curricular activities. We would like to congratulate Cortesia on her accomplishments and wish her much success at Truman State and her future endeavors. 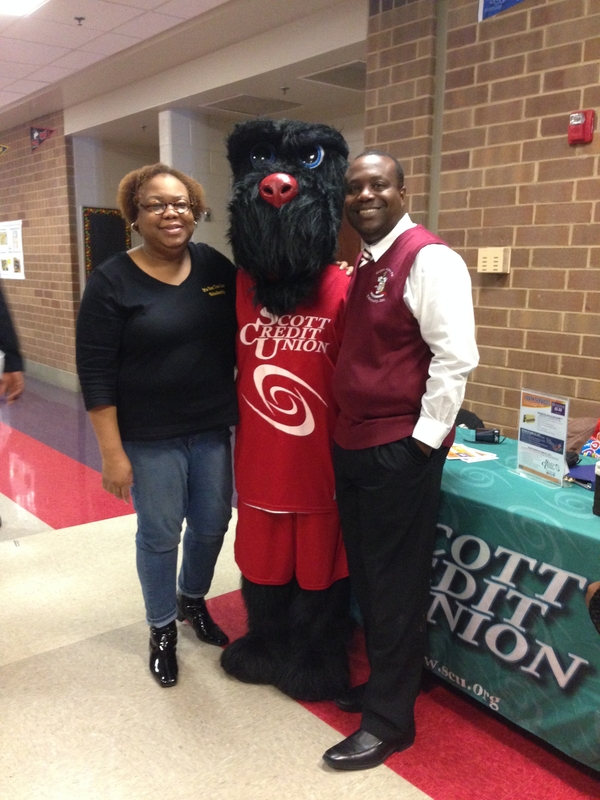 It’s Not Too Late Scholarship and Scott Credit Union partnered to provide a financial education workshop to college students in our community. Below are a list of the few highlights from the workshop. 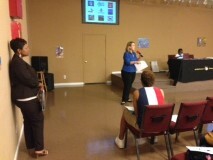 We want to thank everyone who helped make this a successful event. 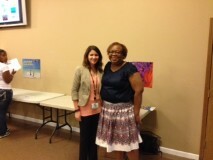 Held financial education workshop on Thursday, July 16th at New Life Community Church in East St Louis​, IL. 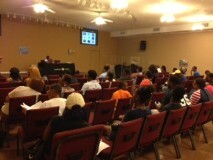 Approximately 30 students attended along with their parents. 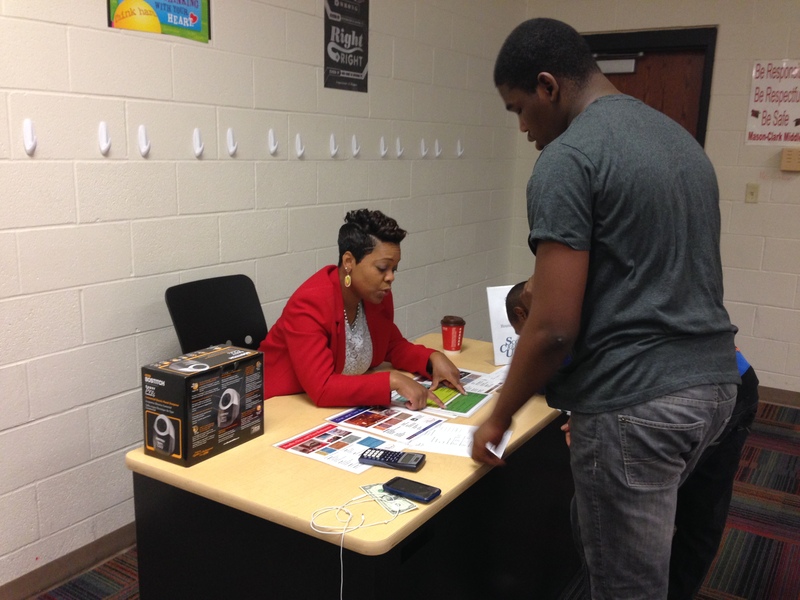 Financial budgeting activity for students conducted with Scott Credit Union​. INTL Scholarship promotion – Scott Credit Union (SCU) to invest $50 with anyone who opens a youth account with $5. SCU willing to give students $50 who brought in flyer to local branch​. Also, if they recommend someone else to open account, they will receive an additional $50. 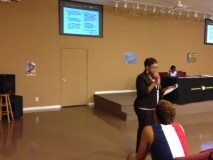 $1000 Scholarship offered at workshop to students who attended and applied​. Scholarship will be awarded the first week of August. Students to set up Go Fund Me Pages. It’s Not Too Late Scholarship is proud to partner with Fifth Third Bank. The Fifth Third Bank grant was awarded to our nonprofit organization based on our educational focus in the community and initiatives that we provide to local students. Fifth Third Bank has a rich legacy of community support. In 1948, it became the first financial institution in the United States to establish a charitable foundation. Today, it continues to invest the time, resources and people to help build a better tomorrow in the communities it serves. We are excited to impact the lives of deserving college students, while encouraging our recipients to do the same in the future, by coming up with innovative ways to help others. On behalf of the INTL Scholarship board, we would like to thank Fifth Third Bank for their support and helping us continue to Pay it Forward, One Dime at a Time.